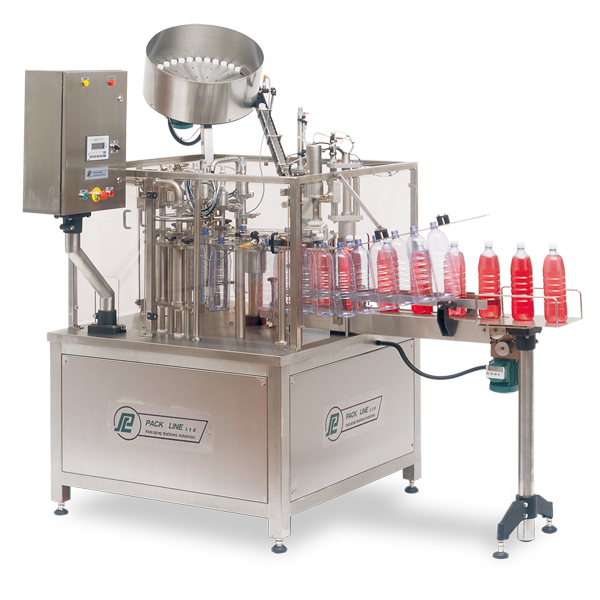 PFM is a rotary bottling machine line designed with a mechanical rotary platform and pneumatic assemblies. PFM is the best solution for bottling and capping mineral water, beverage, juice, salad dressings washing detergents and many other products. Extreme flexibility is the machine’s greatest asset.